A remarkably compact folding mobility scooter for the ultimate travel mobility aid. 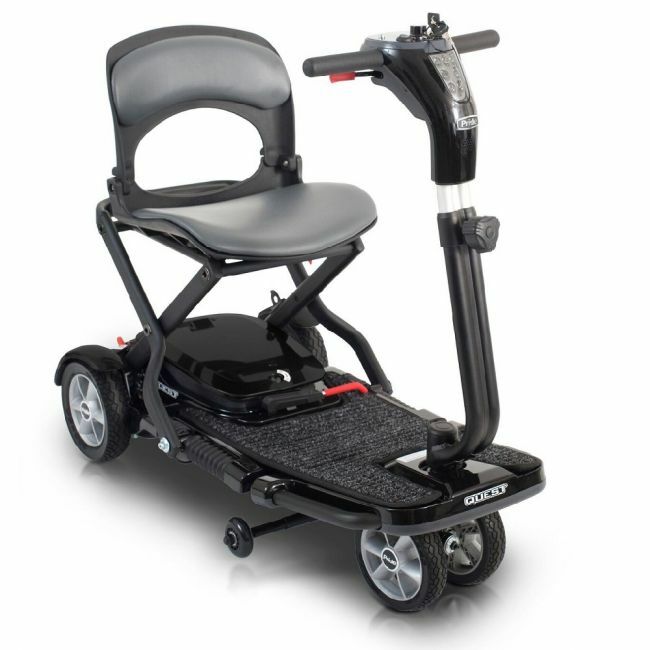 The Quest folding mobility scooter from Pride Mobility is the perfect choice for an active lifestyle. This lightweight scooter offers great performance both indoors and out with a maximum speed of 4mph. The Quest provides a comfortable ride and a simple three step easy-fold system to easily fit into a small space.